If you're after a little holiday inspiration, look no further than Central America for a New Year's Eve adventure destination — the Bay Islands of Honduras. Utila, Roatán and Guanaja are located just off Honduras’ northern coast, at the southern end of the Mesoamerican Reef System in the Caribbean Sea. With beautiful weather, delicious local delicacies and more than 170 diving sites teeming with rays, fish, turtles and whale sharks, it's the perfect vacation spot for avid divers and nature-lovers. According to Beatman Ebanks, general manager of Roatán-based Ebanks Yacht Agency, the stunning 59.5 metre long island of Roatán, the largest and most developed, is a popular spot among divers. 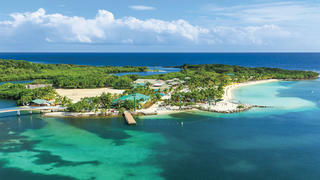 “Visitors also enjoy its thick forests, white-sand beaches and clear-blue water,” he said. Most of the island’s estimated 176 dive sites are close to shore, clustered within the marine reserve as well as east of French Harbour. 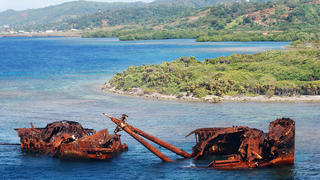 Ebanks recommended anchoring along Roatán’s south central coast, in Coxen Hole or French Harbor, or farther east in Port Royal, and then tender to West Bay for diving. 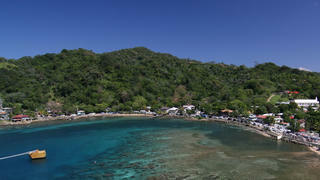 Roatán’s entire western end is part of the Sandy Bay-West End Marine Reserve, which has dive moorings suitable for small tenders, so those visiting on a superyacht can make full use of the huge array of diving spots. The Hole in the Wall is a well-known dive site, with yellowhead jawfish, swim-throughs, caverns and canyons. Next, make sure you visit one of the best shipwreck dives, the El Aguila Wreck, a 230-foot cargo vessel that was sunk to create an artificial reef (and later smashed into three pieces by a hurricane) or the Spooky Channel, a 95-foot-deep, dimly lit channel that links the lagoon to the outer reef. Lastly, don't miss Bear’s Den, a cathedral-like cavern with Gorgonian soft corals and seahorses — one of the area's must-do scuba dives. 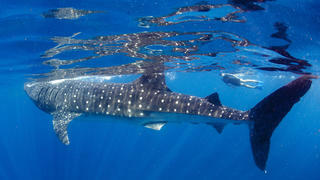 Alongside a plethora of amazing ocean life, whale sharks are spotted occasionally off Roatán. However, Utila (which also has an abundance of dive sites) is the more reliable place to see the planet’s biggest fish, particularly in March and April. If you'd prefer on land entertainment rather than diving, enjoy ocean and reef views from The Black Pearl at Pristine Bay Resort, a Peter Dye-designed, par 72, 18-hole championship course to keep golfers well-sated. Work up an appetite with a morning of golf before you sample a Honduran coffee and a baleada for lunch — a thick flour tortilla folded in half and filled with mashed fried beans and other ingredients, such as avocado and cheese, which is popular with locals and visitors alike. If you're hoping to experience a little more of Honduras' Bay Islands' amazing scenery, walk among more than 3,000 iguanas at Arch’s Iguana Farm in French Cay or take a steep, 20-minute walk through dense tropical forest to Carambola Mountain, within the Carambola Botanical Gardens in Sandy Bay; on a clear day, the flattest Bay Island, Utila, is visible. Wildlife fans can head to Utila’s Iguana Research and Breeding Station, a wonderfully adventurous destination to visit by superyacht, where you can see the spiny-tailed “swamper” iguana, an endangered species native to Utila’s mangrove swamps, while learning about the project’s conservation efforts. 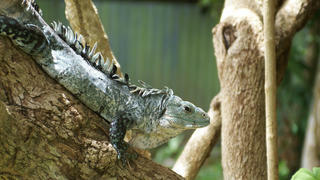 The station also offers an island tour to Iron Bound, a black mangrove forest where you can spot the swamper iguanas. Barefoot Cay Marina on Roatán’s south central coast, accommodates yachts up to 48 metres, with up to a 2.7 metre draft, so moor up and tender to some beautiful island locations.